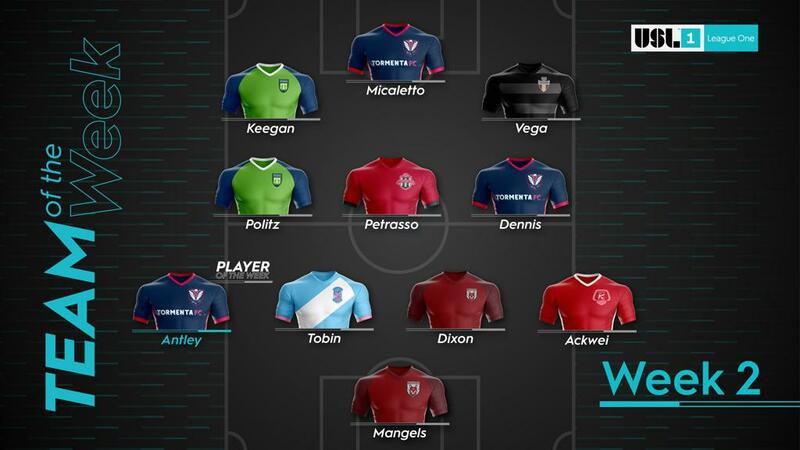 Greenville, SC - Jake Keegan and Kevin Politz have been selected to the USL League One Team of the Week after the club's 2-1 victory against Lansing in their inaugural home match. Forward Jake Keegan broke through in the 53rd minute, scoring the first goal in club history in front of a sellout crowd. The forward also completed 21 of 22 passes in Saturday's game. Additionally, and for the second time in as many weeks, Kevin Politz was named to the USL League One Team of the Week. Politz scored the game winning goal in Greenville's 2-1 victory over the Lansing Ignite off of a cross in the 85th minute. In addition to Politz's goal, the defender completed 38 of 47 passes and won 6 of 9 duals. The Triumph play again at Legacy Early College at 7:00 pm on April 13 as they take on the Chattanooga Red Wolves. Tickets are available here. The free pre-game Fan Fest with live music, food and entertainment begins at 5:00 pm, gates open at 6:00 pm and the game will start at 7:00 pm.